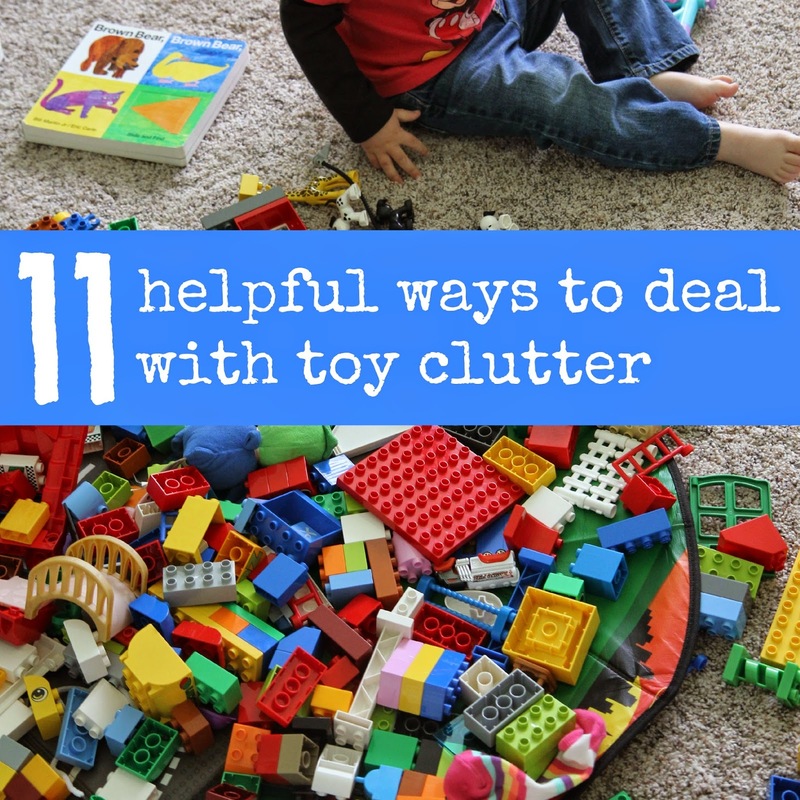 Toy clutter can be overwhelming and exhausting to tackle. We've been working to help our kids be more organized and de-clutter our home quite a bit over the past few years, but every holiday or birthday or shopping trip can exacerbate the problem. Not long ago over on our Toddler Approved Facebook page we discussed how to deal with clutter, especially toy clutter. Today I'm going to share some of the ideas that I have tried (or want to try) to help minimize clutter in my home. I'd love to hear what works in your home too. First off, let me explain what toy clutter means to me. Toy clutter is having an abundance of toys... usually so many that very few of them are played with. Often toy clutter can be unorganized and overwhelming. The definition of clutter is, "a collection of things lying about in an untidy mass..." so in this case it would be toys or other kid items lying about in an untidy mass. One of the best ways to deal with clutter is to keep it out of your house. Instead of new blocks, coloring books, or LEGO sets, put money towards gifts of quality time or experiences for your kids. Buy tickets to a movie, purchase a membership to a local children's museum, or passes to the zoo or a bounce house place. When relatives have asked for gift ideas for my kids we have begun to suggest things like gift cards to favorite play places or a membership to a local amusement park or even just a lunch date with a grandparent to their favorite restaurant. 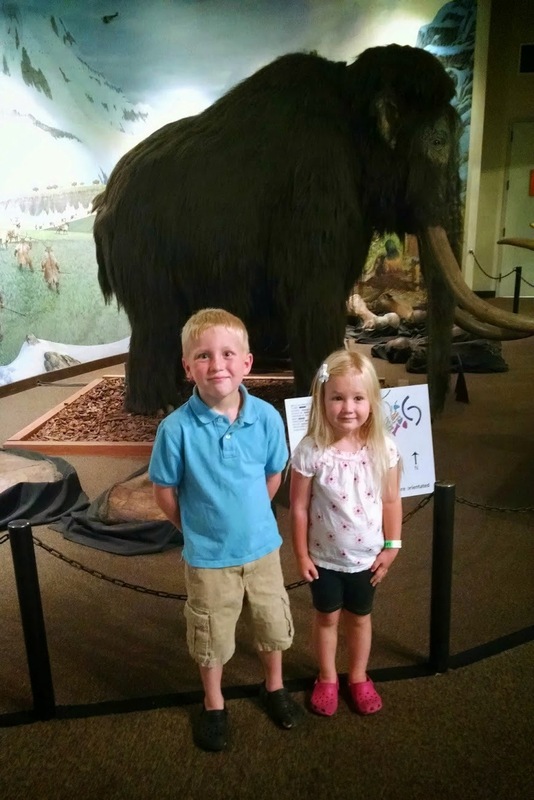 The kids have really enjoyed these gifts and experiences! 2. Donate toys or items that are unused. Set aside time each month or a few times a year to donate toys and other children's items that your kids don't use any more or that they aren't interested in. I usually donate items right before Christmas and around birthday season for me kids. I also usually do a big purge during the Spring and Summer. Some places to donate can include Goodwill, a local women's shelter, a preschool, or a church childcare program. Do you have any other places where you donate toys and kid items? 3. Have a "new toy in, new toy out" rule. I'm not sure if I could follow this rule... but I really like it. One mom recommended having a box in a closet and when your child gets a new toy they have to select an old toy and put it in the box. Once the box is full it gets donates. Some other families have a one toy in, two toys out rule. Both sound like a great way to reduce clutter to me! People do toy rotation in a variety of ways. Many people suggest putting away half or two thirds of all of the toys you own and keeping out very few items. Then every few weeks (or months) rotating the toys around to different rooms and putting some away again. When I say "put them away" in my house that means putting them in a cupboard in the garage or in a closet high up where kids don't have access to them. This strategy works great if you have extra storage space. If you don't you can also rotate toys throughout your house. Keep some toys in different spots and periodically move the toys around the house to different rooms/toy areas. Toys that aren't being played with can be removed and donated. In our house we rotate toys between our front room (living room turned into a playroom), the kid's rooms, and the garage. When I am shopping for my kids and we are looking at clothes and toys I often just snap a picture of the item. I don't buy it. I think about it and try and decide if the kids will actually use it, if it is needed, and what we might need to get rid of in order to get it. This works especially well for me with kid's clothes... since often when I am out shopping I think my kids need something... only to get home and discover that they actually have two pairs of whatever that item was already! My photos get stored on my Google drive and then are also easily accessible at birthdays or Christmas when I need gift ideas. 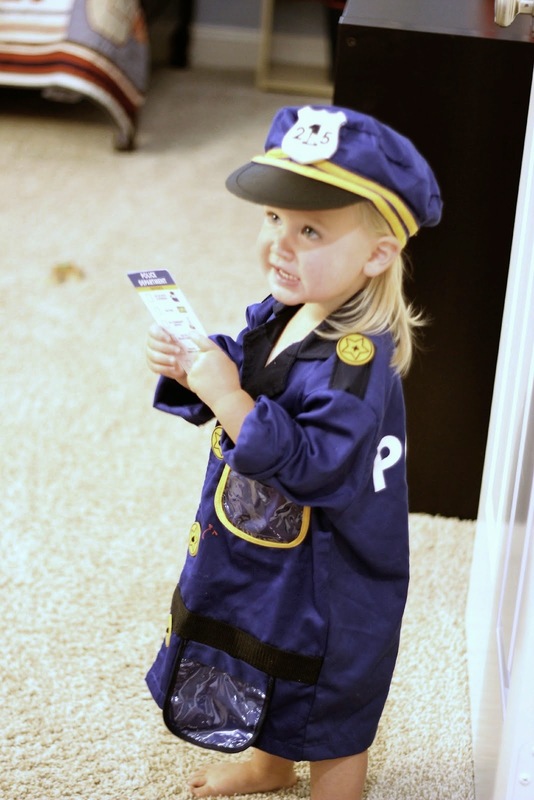 By snapping a picture I often just AVOID allowing any extra toys or stuff to enter into our home! I hadn't heard of a toy library before so had fun investigating this idea and found a few toy libraries not too far away. I will definitely be checking them out and passing along some of our toys. Toy libraries are places you can donate toys and also where you can borrow toys. These toys are typically ones that allow for more open-ended and imaginative play. Some of our favorites include blocks, animals, dollhouses, dolls, cars/trucks, play kitchen and play food, LEGO and DUPLO, and dress-ups. Puzzles (especially wooden ones) and magnetic wooden paper dolls are also durable toys that make for a good investment. 8. Have toys organized in a way that makes clean up easier. Using clear tubs and labels with photos definitely makes clean up time easier. Also, keeping toys in smaller bins and encouraging kids to only take out a few bins at a time makes clean up time less crazy. We also like to make sure every item has a home or a place to go in our house. If it doesn't have a home, we donate it or sell it. 9. Host a garage sale or sell products online! We will often sell used kids toys and items on Craigslist or we host a neighborhood garage sale each summer. I have also sold used books and other materials on Amazon. We will often pass along gently used toys or kid items to friends or siblings and let them borrow them. This way they don't have to spend the money on the item and we don't have to have it in our house. With three kids and possibly more in the future there are some items that we don't necessarily want to donate or sell yet, since we might use them again. It is nice share them with others (and get them out of our house) until we will need them again. 11. Designate time daily for organization and clean up. Occasionally we skip a day, but most days we set aside time to clean up. Often we just clean up immediately after we complete an activity but sometimes with crazy schedules and multiple school pick ups that isn't possible. On those days we do a quick clean before dinner or before special family time in the evening. We turn on music and everyone works on cleaning up their little area of the house or any common rooms that are messy. By making clean up time a habit, it becomes less of a power struggle issue. It is amazing how your house can feel fifty times less cluttered when everything is just where it belongs! Here are some other clean up strategies we have used with our kids. 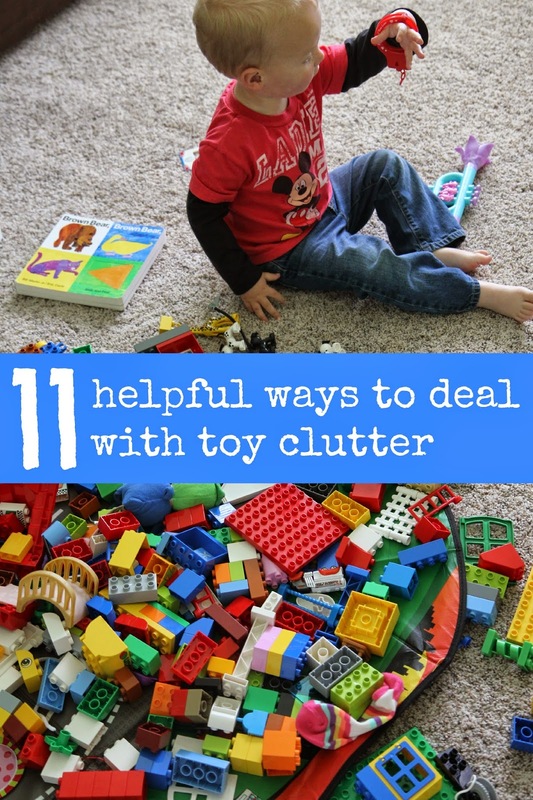 Do you have any other suggestions for how to deal with toy clutter? Check out my favorite resource on kids and cluttering here->-> Clutterfree with Kids by Joshua Becker. The Kindle price is currently $2.99 (today April 8, 2015). I'd like to say that rotating toys with toys that are kept "out of sight" for at least two weeks or more works great. If they still aren't interested in them, donation is such a good lesson in sharing and caring. But the absolute best thing in your article is the clear tubs or shoe boxes with labels or with photos for the non-readers. My daughter is now almost 21 and most of her toys with lots of pieces are still 100% intact because we organized and labeled so much. Now we can pass them down to the younger family members, knowing they are still as good as the days they were bought. Incorporating organization may at first seem like a bit of work but the payoffs within a shortr time are enormous! I go through all the toys and remove all that I think are unnecessary. Then I show all the toys to the kids and they can "rescue" special things so that they don't just disappear. We have a garage sale, which the kids organise, and they keep all the money from the sale. At the end anything left over gets donated. This encourages the kids to want to clear out the clutter themselves instead of hoarding. I use large baskets in each room of the house to collect random toys - it makes clean up very simple for my toddlers. Then once a week or so, I sort the baskets back into their real home. I love the idea of taking pictures. I am a grandmother and have done this before. My daughter took a picture of a an off colored pair of pants. Then when I was out I shopped for a specific shirt and sent back a picture to see if she liked it. No hard feelings telling me I dont think I like it or put it on her. Same with trying to reduce duplicate toys.